Enjoy 3 Max and Me body oil blends with this beautiful gift set. 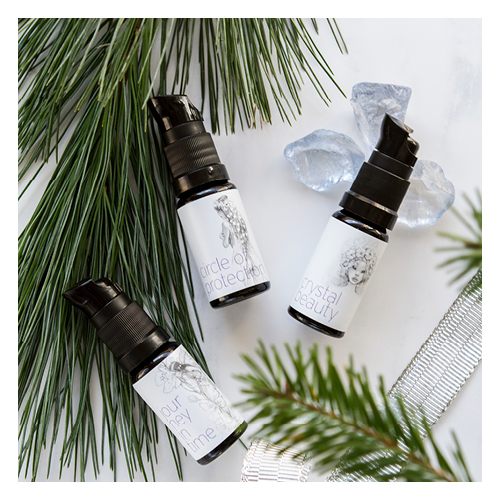 Journey In Time Body Oil: A delightful blend of antioxidants with beauty oils (argan, marula, rosehip) that offer a regenerated and renewed appearance to skin. It gently makes skin look more youthful, leaving skin looking toned and glowing with a feel of petal softness. Circle of Protection Body Oil: This oil feels luxurious on skin, while bestowing a sense of protection from environmental challenges and the elements. A precious blend of moisturizing and antioxidant beauty oils (argan, marula, rosehip) give a nourished feel to thirsty skin. Crystal Beauty Body Oil: The "crystal clear beauty” body oil blend promotes a feeling of pure, sublime energy. Your skin will feel purified and detoxified, while showing off the clear, radiant appearance of a more intense beauty. While offering a look of balanced skin, this body oil blend suffuses you with the sensations of high vibrations for a feeling of mind/body balance. Follow directions on each individual product. I just receive this set! 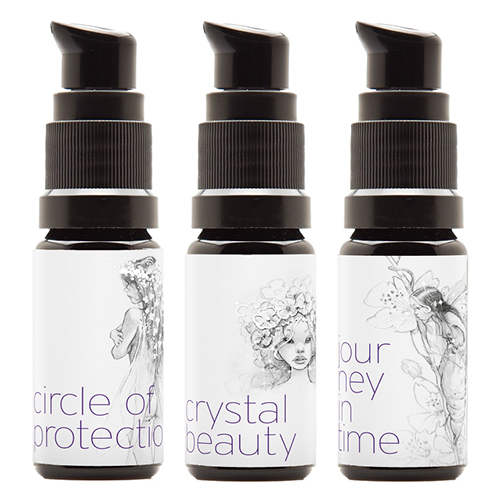 I LOVE both the "Circle of protection" and the "Crystal beauty" body oils. The texture is perfect and the scent is just beyond words! I don't like the "Journey in time" scent so I'm super happy I ordered this mini set before going with the full size products. These are for sure infused with love and really precious treats for the body and the mind.